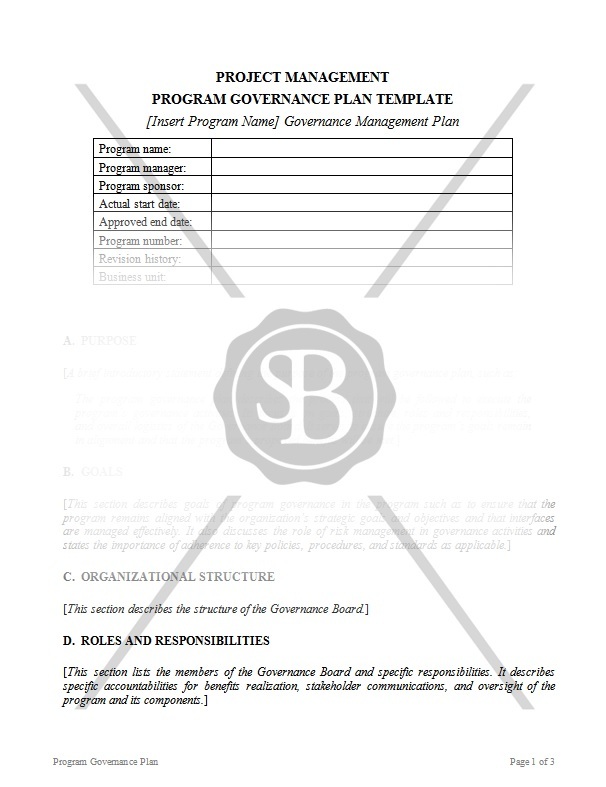 The program governance plan describes the process that will be followed to execute the program’s governance activities. Its focus is on goals, structure, roles and responsibilities, and overall logistics of the Governance Board. It serves to ensure the program’s goals remain in alignment and that the program’s proposed benefits will be met.